A quintessential of English pale ales. 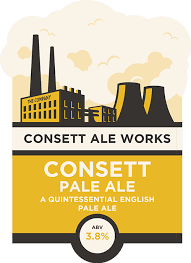 Consett Pale Ale is full bodied and generously hopped to emit floral notes. Flavours of citrus flood the first taste, followed by the completion of a refreshing, bitter aftertaste.